Our firm is engaged in manufacturing, supplying and exporting Yoga Products. 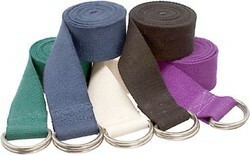 Under this category, we offer our esteemed patrons a wide assortment of Yoga Mat, Yoga Mat Cover and Yoga Belt 6 Ft. The products offered by us are designed and made by the experts using high quality raw material in compliance with the international standards. All our products can be availed by the clients in different color combinations and at industry-leading prices. 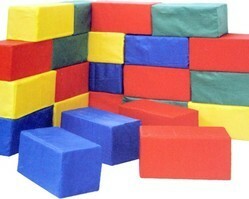 We are dealing in the bulk quantity. 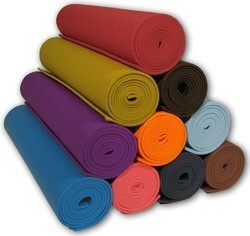 Abiding by the industrial standards, we are offering a quality assured assortment of Yoga Mats. The offered mats are made by the professionals using quality polyester material following industry standards. These are offered by us with meshed zipper pocket and also hold a mat, t-shirt and a belt. 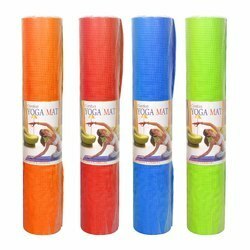 We offer these yoga mats to the customers in different color combinations and sizes in order to meet their requirements. Banking on the expertise in this domain, our firm is involved in offering our customers a comprehensive range of Yoga Mat Covers. The offered yoga mat covers are designed and stitched by the experts using premium quality material following international standards. Owing to the features like easy to carry and non-slippery, these mat covers are widely appreciated in this competitive market. 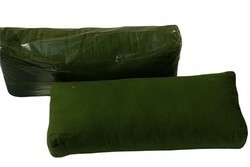 We offer these yoga cover mats to the clients at industry-leading prices. With our expertise in this domain, we are able to offer a superior quality range of Yoga Mat Covers. The offered mat covers are designed and manufactured at our advanced manufacturing unit using polyester material following international standards. Owing to the features such as high durability and lightweight, these mat covers are widely appreciated in this competitive market. These have the capability to hold a mat, t-shirt and a belt and can be availed by the clients in different color combinations. 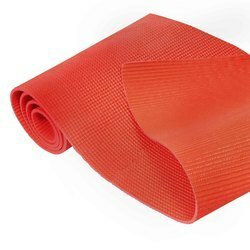 Owing to the sound industry experience, we have been successful in catering to the requirements of our esteemed clients by offering quality Yoga Belt 6 Ft. These are designed and manufactured under the supervision of experts using optimum quality cotton following industry standards. 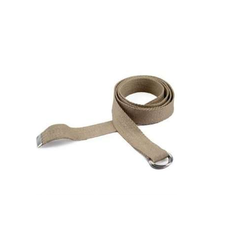 The offered yoga belts come up with 2 D-metal rings on one side and are available in 6 length in order to meet the needs of the esteemed customers. Made up of premium quality fabric. No embossing on any side. Owing to the immense experience and a vast manufacturing facility, we are able to offer Yoga Garment. The offered range is made utilizing modern machinery and innovative technology in complete adherence with the international quality norms. In addition to this, the offered range is tested on different characteristics to maintain its authenticity throughout the designing process. We are an eminent name, which is engaged in delivering an extensive range of Exercise Mats. 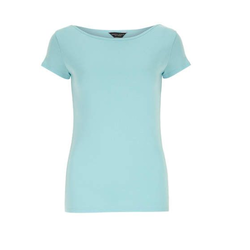 These products offered by us are stitched utilizing premium grade fabrics, sourced from reliable vendors of the market. In addition to this, the offered range is tested on different characteristics to maintain its authenticity throughout the manufacturing process. Owing to its durability and performance, this range is ideally applicable in different areas such as yoga and aerobics.